Connect More Smoothly with Mobile: This new release of Mac OS X is designed with the thought of keeping Apple mobile and Apple desktop synced. With Mountain Lion, your iPhone, iPad, and Mac machine will be connected as smoothly as ever before. Easy Sharing: The availability of ‘Share’ button in most of the applications of Mountain Lion makes sharing easier. Some of the native applications of Apple that have ‘Share’ icon are Preview, Textedit, Notes, Safari, etc. With this button you can share everything with your friends on Twitter, Facebook, instant messaging, Flickr, or email quickly and easily. To take all the advantages of this feature ensure that you are signed in with your social networking account provided under ‘System Preferences >> Mail, Calendar or Contacts. Stay More Secure: The all new Mountain Lion has the feature of ‘Gatekeeper’ that all the time secures you from the wild world of the Internet. The ‘Gatekeeper’ basically watches all the applications that are been installed on your computer are from authentic source or not, like are they from Mac App Store or developers who have unique ID issued from Mac. Notification Center is There for Your Help: If you have used any iOS device, then you must be familiar with Notification Center and how it works. It basically displays all the banners and alerts that allow you to track the pending activities easily. In iOS devices, you can drag the Notification Center down from the top screen, whereas in OS X 10.8 it is hidden in the right side of your desktop. All the alerts like meeting notifications as small pop-ups will linger at the top right corner of your screen until you dismiss them, while all the banners (showing notification for incoming emails) will automatically disappear after five seconds. In this way, the Notification Center of your Mountain Lion includes all the activities of Calendar, Mails, Messages, Reminder, FaceTime, Facebook Twitter, and any third-party application. Give Your OS X 10.8 – A Power Nap: This intelligent feature of your Mountain Lion keeps your Mac up to date when it is in a sleep as well. The power nap, time to time checks for all the updates of emails, calendars, and more so that when you check your Mac for the next time, you need not to wait for it to gear up. It will be ready for working instantly without making you wait for long. Moreover, this efficient utility available only for OS X 10.8 and even sends the backups to Time Capsule and downloads various updates of system and applications automatically. 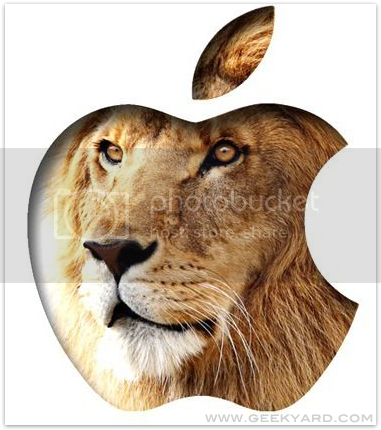 Enjoy an Updated Safari: Safari in Mountain Lion has some of the features that Mac users want for long time. Now you do not need to have separate fields for web searches and URLs. The unified search allows you to find what you want more quickly than ever before. Moreover, you get suggestions for searching through the browsing history and bookmarks; and hence it improves searching process. The iCloud Tabs included in this version of Safari for Mountain Lion links your browsing irrespective to the device you are using. You just need to click the iCloud tab and it will show you all the links opened in any of your iCloud devices like iPod, iPhone, Mac, etc. The advanced reading feature of Safari lets you not only see the link of entire page that you have added instead it lets you see the entire page when you are not connected to the Internet. Even the sharing feature is also available in your Safari for OS X 10.8, which allows you to share a web link on Twitter or Facebook instantly. Write What You Speak: The new dictation tab in your Mac OS X 10.8 lets you to dictate what you want to write. When you enable this feature in your OS X, its built in microphones listen to what you speak and convert the words into text. You can initiate the dictation function by tapping the function tap for two times. The feature of dictation becomes accurate with time as it understands your pronunciation with use. The functionality to add punctuation in your text like comma or exclamation sign is also there in this feature. Apart from this, you can add new lines in your dictation as well. The dictation presently supports American, UK, and Australian English and understands Japanese, French, and German. The only requirement, which this feature requires is the Internet connection so that it sends your speech to Apple Server for analysis before sending it back to your Mac. However, the words that are not understood by the dictation are underlined by blue so that you can rectify them before using the text. Mentioned above are some of the really exciting features of your Mac OS X 10.8 – Mountain Lion that make it one of the fastest operating systems of Mac till date. Though some of the features are upgraded, but many of them are newly added and are more advanced than its previous versions. The updated Safari makes your browsing more efficient and fast, whereas easy sharing, support for mobiles, new notification tab, and dictation in Mac make it a must of have Operating System by all who want something new and exciting in their Mac OS.